Posion Mökki- ja Eräpalvelut is a versatile company located in Posio, the Magic Land of Lapland. It offers qualified services to hikers, hunters, cabin visitors and constructors. Our cabins Pyytökämppä 1 and Pyytökämppä 2 are built to serve you in the middle of the vast wilderness. There you can follow the mating display of black grouses, take beautiful photos of Siberian jays from the stairs of the cabin, take a swim in the clean and fresh waters of the lake and enjoy yourself with hunting, fishing, berry-picking or just wandering in the beautiful, untouched nature of the north. 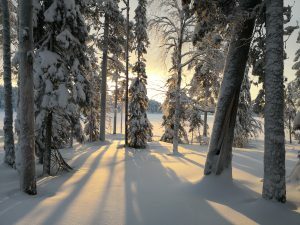 The silent wilderness and the peacefulness of nature provides unique circumstances for unforgettable vacation in one of the most beautiful parts of Lapland. Our four-person cabins both include two alcoves and a so called living room with possibilities to cook, dry your clothes and sit by the fireplace. The cabins also include gas stove, dishes, candles and lanterns for lighting and blankets and pillows for sleeping. 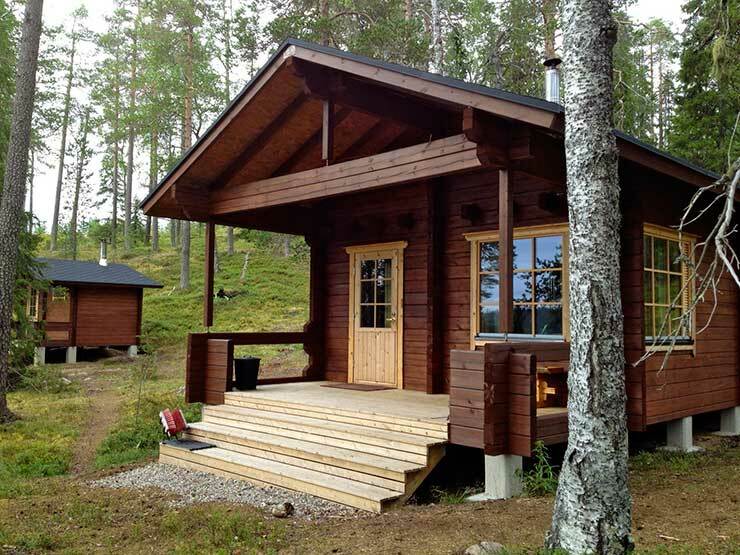 From the cabin you can make day trips for example to Pentik, Pyytöuoma, the ravine canyons of Korouoma, Palotunturi and the national park of Riisitunturi.